Colorado. 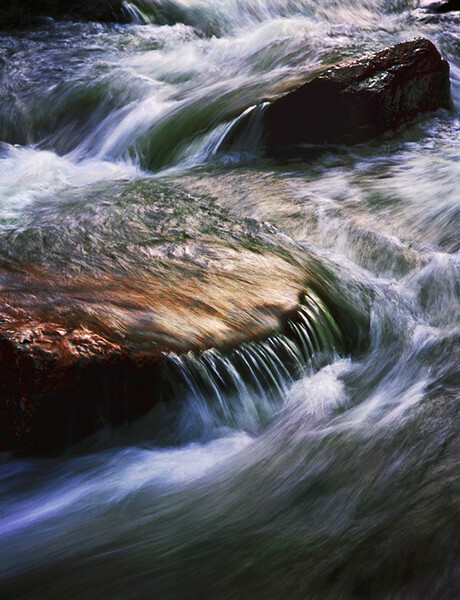 The water of Cross Creek, rushing through a narrow ravine near Tigiwan, flows over a boulder, with the fine rivulets resembling the claws from a large bear's paw. From the Mount of The Holy Cross Wilderness Area. To 26" on the long side. Click on this preview image for a full-screen view.